What a fun week! 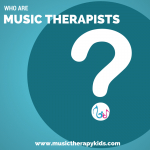 Last week, I decided to launch a Facebook page for Music Therapy Kids and was so excited to get 60+ likes right out of the gate. So thank you! Thank you for liking, sharing, and talking about this project! 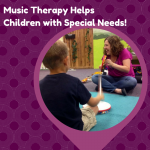 The mission of Music Therapy Kids is to make music easy for children, parents, teachers, and therapists so the more who KNOW about this resource, the better! 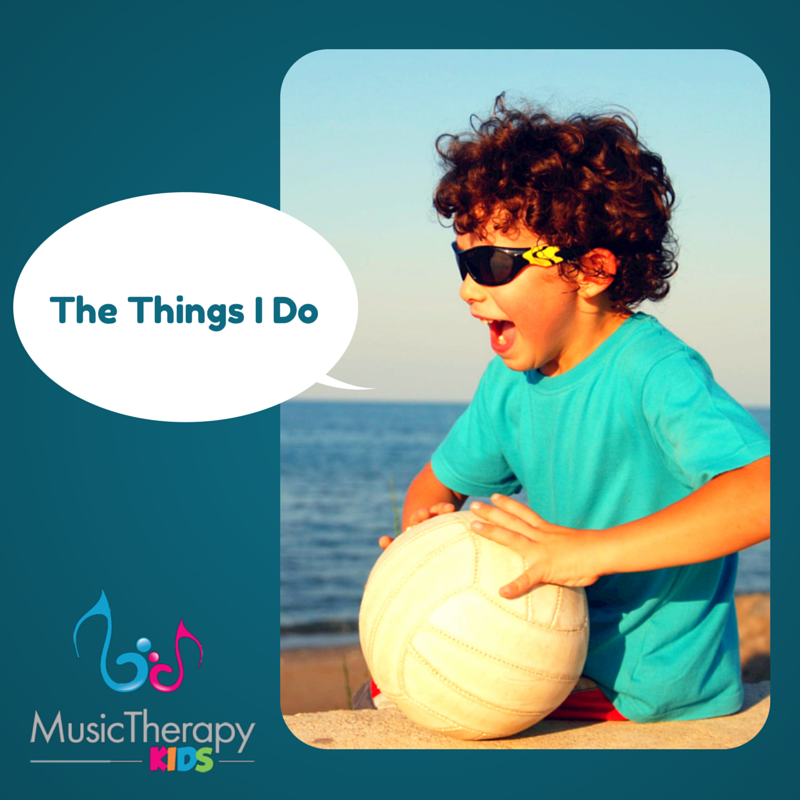 Today the song I want to share with you is called “The Things I Do.” It was written specifically for a couple of students who are learning to identify action words and verbs. I tried to include the most common activities that a child might engage in each day. The tune and repetition of the words is definitely catchy. Teach it! That may mean listening and singing over and over again. Use pictures. 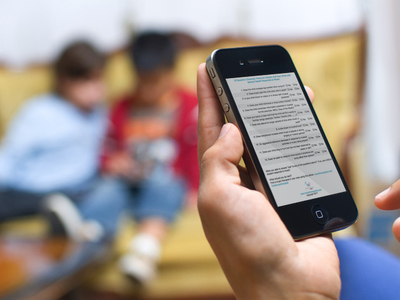 You may already have an arsenal of action pictures at your disposal. If not check out google images and print some out (or just save to your iPad). You could also create an image collection using Bitsboard. Slow it down. 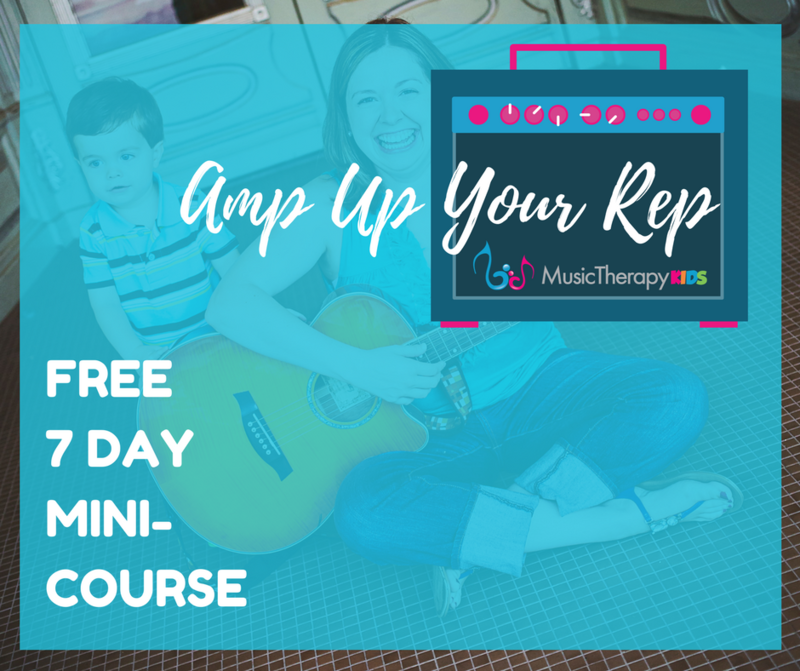 The recording does keep an upbeat tempo, but after you have learned the song, sing it a cappella (without the recording) at a slower pace which will allow the learner more time to identify a picture or give a verbal response. Don’t worry about doing the song exactly right. Just get the gist and go! Act it out! Practice a movement that corresponds with each action word. Every day I eat, eat, eat. And I drink, drink, drink. And I play, play, play. And I sleep, sleep, sleep. These are the things that I do, do, do. The things I do, the things I do. They’re lots of fun and they’ve got to get done. Every day I sit, sit, sit. And I jump, jump, jump. And I walk, walk, walk. And I run, run, run. Every day I brush my hair and I take a bath. And I brush my teeth and I laugh, laugh, laugh. Every day I read, read, read. And I write, write, write. And I watch, watch, watch. And I type, type, type. These are things that I do, do, do. So what do you think? As always feedback and suggestions are welcome. 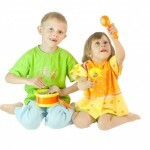 Could you benefit from this song with more customized action words for the special learner in your life? Let me know. I look forward to hearing from you.